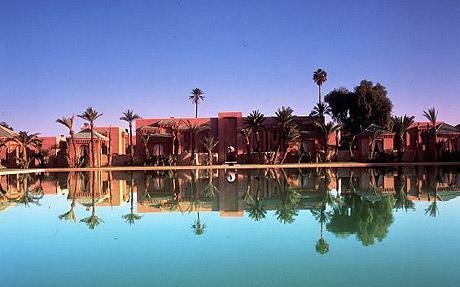 So you want to buy a holiday or investment property in Morocco. How to you arrange a Mortgage in Morocco? The mortgage market in Morocco is not very well established and complications can and do arise for applicants. These complications are frequently complicated when a non-resident applies. The mortgage application process is slow, so don’t expect the same standard of speed and customer service from a Moroccan lender as you would expect from a bank at home. The Moroccan lender’s staff are often lacking in knowledge and experience, which is compounded when they have to deal with paperwork from overseas. You should also expect to be required to provide official translations for your domestic documentation. In Morocco, all mortgage loans are linked to the price paid for the home and require a minimum down payment of 30%. Note that the lending bank is unlikely to instruct a property assessment although you may wish to do so for your own peace of mind. The currency for the loan and the repayments will be the Moroccan Dirham, so ensure that your home bank can transact payments in the Moroccan currency or arrange for a local bank to receive your remittances and make the payments by exchanging the currency for Moroccan currency. Bank arrangement fees are charged and these will vary depending on the institution you use as well as the type of mortgage you choose. In addition, you will also be charged a notary fee for registering the mortgage deed. There will also be a mortgage tax that will be levied over the life of the mortgage. Typically, mortgages are granted for a term of 15 years. However, you can find a lender who will extend the term to 25 years. Be aware, however, that the shorter the mortgage term, the lower the interest rate that will be charged. Interest-only mortgages are not available over the life of the loan, but you can get an interest-free loan for the initial six months. Always be prepared and arm yourself with a good working knowledge of local lending practices. This is the key to arranging a mortgage in Morocco. You can expect a slow and painful application process plus a good deal of frustration. However, if you take all the possible steps to understand what is happening and why, you will be able to ensure your stress levels are kept mercifully low. Using the services of a Moroccan Mortgage expert, who knows and understands the market and application process, particularly if you do not understand the language and local customs, will prove invaluable when arranging home financing in Morocco. The main event on the Moroccan calendar is the month of Ramadan, during which Muslims fast during the day time and break the fast at sunset. Most restaurants are closed for lunch (with the exception of those catering specifically to tourists) and things generally slow down.Travelling during this time is entirely possible, and the restrictions don’t apply to non-Muslims, but it’s respectful to refrain from eating, drinking or smoking in public during the fast. At the end of the month is the holiday of Eid al-Fitr, when practically everything closes for as long as a week and transport is packed as everybody heads back home. Alcohol consumption is not prohibited for tourists during Ramadan, there a few restaurants and bars serving alcohol. Also, alcohol can be purchased in a supermarket if a tourist shows their passport to the staff as Moroccans are not allowed to buy or consume alcohol during the holy month. Remember Driving under the influence of alcohol is strictly illegal even if you taken just one beer do not drive.